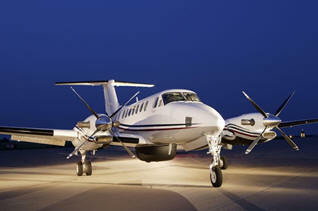 December 26, 2013 - Textron Inc announced that it has reached agreement to purchase all outstanding equity interests in Beech Holdings, LLC, the parent of Beechcraft Corporation, for approximately $1.4 billion in cash. Beechcraft Corporation, with estimated 2013 revenues of $1.8 billion, is a leading manufacturer of business, special mission, light attack and trainer aircraft. With more than 36,000 aircraft in service, Beechcraft supports its installed base of Hawker business jets, King Air turboprops and Beechcraft airplanes with an extensive global network of company-owned and authorized service centers. Textron plans to finance the purchase of the equity as well as cash required for the repayment of Beechcraft’s working capital debt through a combination of available cash and up to $1.1 billion in new debt. Holders representing equity interests in Beech Holdings sufficient to approve the transaction have delivered proxies authorizing written consents in favor of the transaction. The transaction is expected to close during the first half of next year, subject to customary closing conditions, including regulatory approvals. J.P. Morgan served as exclusive financial adviser to Textron and is providing committed financing in connection with the acquisition.